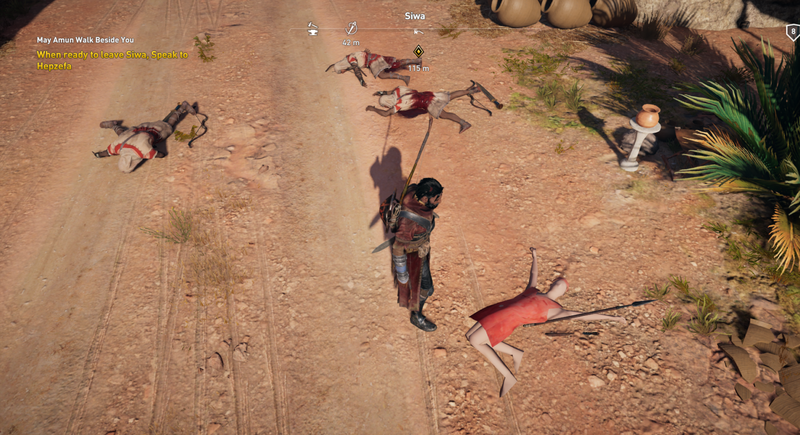 Seeing the big open-world game filled with glitch is actually understandable. With a wide map, sometimes a lot of glitch is not caught by the QA tester before release. 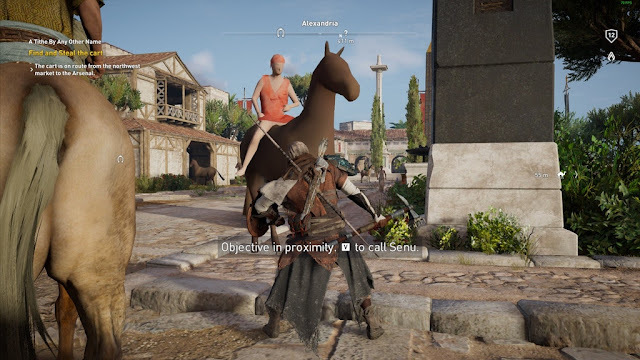 Assassin's Creed, always have a unique glitch in each series like a hollow sea glitch in Assassin's Creed IV or an infamous face glitch in Assassin's Creed Unity. 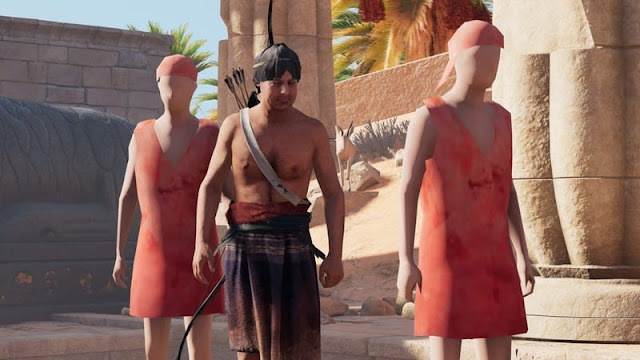 This strange glitch tradition is again present in the latest series of this franchise - Assassin's Creed Origins. Fortunately, this glitch does not really give a nightmare effect to a player like that of Unity, but the level of strangeness is enough to make a player scratch his head and ask "what the f * ck?" 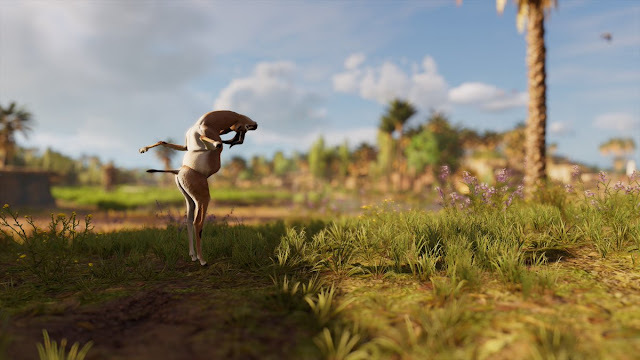 There are two types of glitch that most often occurs in Assassin's Creed Origins, which first is the glitch where the animals posed strangely. And the second is the glitch where the texture of the NPC has not finished the rendering process. The author of Eurogamer, Tom Phillips spreads a strange glitch through Twitter. This glitch makes crocodiles, deer and other animals stand on two legs and do strange poses when approached by players. Perhaps this became an accurate representation that occurred in Egypt and became the inspiration of people there in the making of pantheon. This second glitch happens when the game has not finished doing poses rendering texture on the NPC, making them appear with low-polygon and without texture. Glitch one is more common in PCs, more precisely PCs that are not too high-end or are running many other programs in the background while playing. Although more vulnerable on PCs, a similar glitch may also occur in the console if the game fails to render all texture in the game on time. Which is more scary? All your choices. 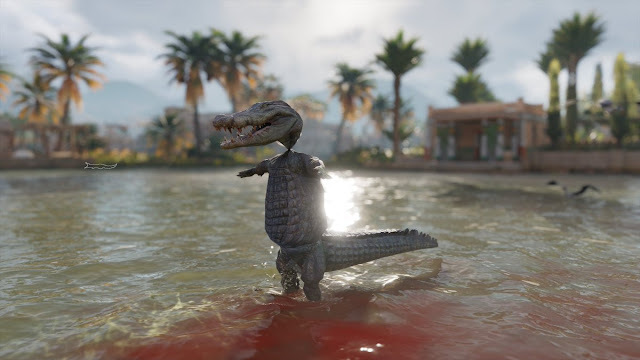 Glad to see Ubisoft can always keep their best features in fans' favorite franchise.